The Rise in Bike and Pedestrian Fatalities in California and Across the U.S.
With beautiful weather and scenic views, California attracts walkers and cyclists alike. In addition, people flock to the outdoors to combat health risks, such as stress, obesity and heart disease, and improve their overall health. However, the downside involves an unforeseen safety risk for these health-conscious people: More than ever, walkers and cyclists are likely to be hit by a vehicle. 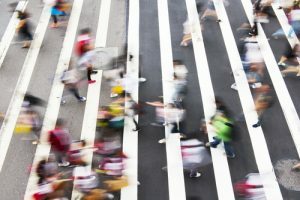 The Government Accountability Office released data that showed that pedestrian fatalities increased by 3 percent – from 11 percent to 14 percent – between 2004 and 2013. During the same time frame, the numbers increased from 1.7 percent to 2.2 percent for cyclists. 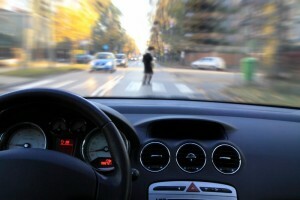 However, overall traffic deaths dropped by about 25 percent – from 43,000 to 33,000 – during that period. Orange County, CA has experienced a surge in bicycle and pedestrian accidents resulting in injury or death in the past few years. Pedestrian and bicycle incidents are occurring more frequently as each day passes. In fact, by some estimates, a pedestrian is struck and killed in the O.C. every six days and the numbers have gone up so much in Orange County CA over the past few years that county administrators decided to invest in pedestrian and biker safety. The county no longer wants people to know it for its title of “most dangerous county” for bike riders in the state of California. Instead, it wants people to know it as a county that takes the life of every human being seriously. Walking and biking accidents are such a tragedy because they mostly occur because of neglect. Neglect occurs when a person or party either acts or fails to act in a way that is in the best interest of another party. All people are supposed to look out for themselves and for other people who share the roads and sidewalks at all times. 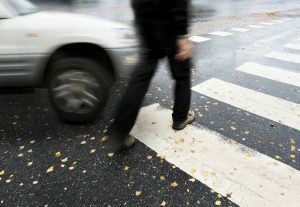 More often than not, drivers do not yield to walkers. Such drivers may not see the walkers or the bikers because of various distractions. In some cases, outright defiance causes the incidents. Furthermore, rushing causes more occurrences than any other causes. Workers rush to their jobs; students rush to school; anxious persons rush to the stop sign. 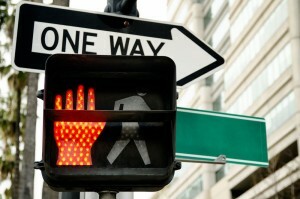 Many pedestrian accidents occur every year in Los Angeles, and their numbers are increasing. 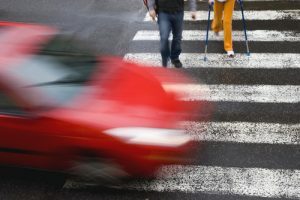 The organization “Los Angeles Walks” studied this issue carefully and developed a map that lists the busiest intersections where many of the collisions between pedestrians and motor vehicles occur. Their purpose is to make walking in this city safer for everyone. According to the organization, 49 pedestrians were hit and killed by motor vehicles in the popular Hollywood and Highland intersection. However, this was not the worst. A total of 51 such collisions occurred at 7th Street and Spring Street in downtown LA. This means that there were exactly 100 pedestrian deaths in just these two intersections, and Jessica Meaney of the organization mentioned above thinks that this “not acceptable.” She hopes that the city’s leaders will take the map to heart and do something to reduce the number of pedestrian injuries and deaths. This expectation is a tall order because 19,000 pedestrians were hit by motor vehicles between 2003 and 2009, and many of these people lost their lives. Santa Monica Boulevard and Vermont Avenue is another example of a dangerous intersection where an average 40 pedestrians are hit by motor vehicles each year. Local resident Kelly Smith is well aware of the danger because she spends a lot of her time walking and jogging in the area. She complained that cars come very close to hitting her on a regular basis because motorists often drive carelessly and are not paying as much attention as they could to what is going on around them.